Two Rotuman rugby players play a crucial role for the Suva rugby team as they prepare to take on Nadroga in the Skipper Premiership Cup final at the ANZ Stadium, Suva, on Saturday. First five eight Jone Manu, who hails from the village of Oinafa, told SUNsports he had to give up his studies for rugby. Manu was the architect of Suva’s moves in the semifinal 26-20 win over Namosi last Saturday. “I was doing a Bachelor of Engineering at the University of the South Pacific in 2015 when I realised that it was not the path that I wanted to follow,” the 22-year-old plucky Swire Shipping Fijian Warriors playmaker said. Manu said it was hard at first but he was fortunate to have his family’s support. “Coming from a big family, I was lucky that they supported my decision and helped me every step of the way. My dream is to be part of the Fiji Airways Flying Fijians or maybe get an overseas contract. His team-mate Jonathan Petueli said he is aiming to be part of the Fiji Airways Drua squad for the Australia National Rugby Championship. 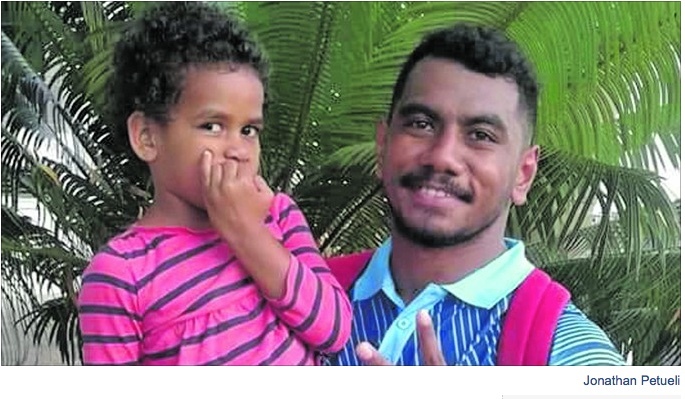 The 24-year-old Malahaha native’s mum hails from Naitasiri and he will be graduating with a Bachelor of Engineering in Electrical and Electronics from the University of the South Pacific in September. Petueli who came in as a substitue against Namosi said every rugby player need to have a back- up plan and that is why he took up engineering. “But my dream is to become a professional rugby player. For me I feel proud because from our Rotuman background not many are competing when it comes to high level rugby. Petueli played for Queen Victoria School when they won the Coke Zero Deans Trophy in 2012. “For the QVS under-18 team, I know that they’ve been beaten badly during the semifinals but we can still come back. “Always trust in oneself and trust in your team mate more. “That was why we won in 2012, we were not big but we had heart,” he added.